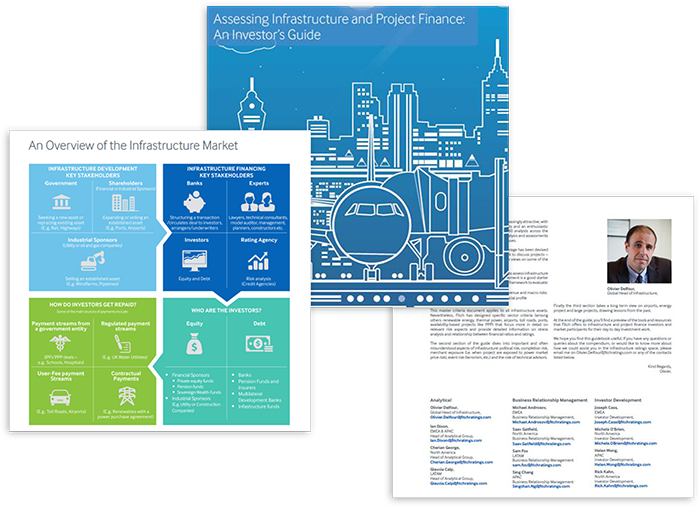 Fitch Ratings’ infrastructure coverage guide has been devised to provide you with a framework to discuss projects. We cover both our analytical approach and our views on some risks investors could face. 3. Our long-term views on airports, energy, large projects and other key sectors. You’ll find a preview of the tools and resources we offer to investors and market participants, created to help you with your day-to-day investment work, at the end of the guide. A copy will be sent to the address provided. Visit our Infrastructure & Project Finance page.